As the dawn of the new Fall season is upon us (Sons of Anarchy started with a bang this week), I’ve already talked about the shows I am looking forward to returning - but there are some new shows out there that I am “excited” about checking out. 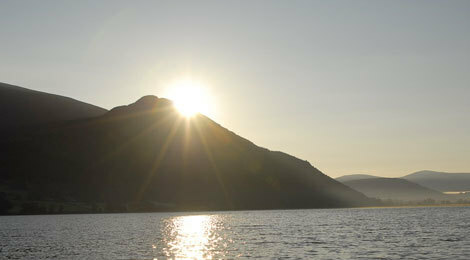 Oh - and let me apologize for the cheesy “dawn” analogy with the photo, but I couldn’t think of anything else. I thought maybe something like a new “delivery,” but when I typed that into Google Images I got a lot more than I was bargained for - so the sunrise is what we’re stuck with. What is the Event? Anyone else sick of that question? NBC has gone to great lengths to pound that question in to our heads and for me at least it worked. However I doubt we are going to find out what the Event is for a while. NBC needs this show to succeed after last Fall’s Jay Leno disaster. There can only be so many times you can go back to the Law & Order well (which they are yet again) and it’s time that NBC had a great serialized drama that they’ve been lacking since the early days of Heroes. The hype is there. The promotion is everywhere and I think the curiosity is enough to attract viewers for the first episode on Sept. 20. The real question is what happens after that. Will the pilot be any good? Good enough to get people coming back week after week? From everything I’ve read and heard, the pilot episode looks like a winner, so the answer to both those questions might just be yes. It really could go two ways. One, the show could start off interesting. But slooow down in the middle of the season to the point where viewers start bailing (we all remember FlashForward). Or two, the show could catch on and next summer the masses will be waiting in line in San Diego, excited to attend the first Event ComicCon panel. Because that is what this show needs to be. It needs to be something that attracts he masses, but also attract those fans who flock to the Internet to discuss theories about what is going on, the same folks who can’t wait for the DVD of the first season to come out so they can relive it, and pass it on to their friends to get them into it. And, for a purely selfish reason, if this show does well it could possibly provide more viewers for Chuck, which it will be following every Monday night. The second reason is because of the show’s creator - Shawn Ryan. For those of you who don’t know, Shawn Ryan created a little show on FX called The Shield. Terriers is also on FX, which means that we won’t have to worry about regular network execs getting in Ryan’s way of telling the story he wants. What is that story? Well it’s a couple of private investigators - that’s all I know. But if the acting and writing are as good as I think they potentially can be - then this will be a fun show to watch. 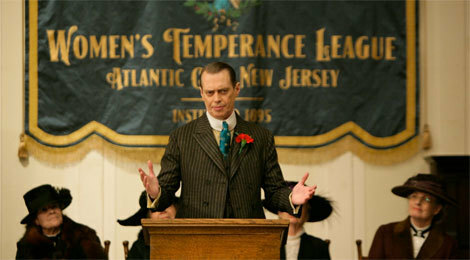 Steve Buscemi. Martin Scorsese. Prohibition-era organized crime. Seriously, do I even need to talk about this show anymore? I’ve only seen glimpses of this show from the previews they air before True Blood, but I am really looking forward to it. Buscemi is great in everything he’s in and I really think this could be the type of show that gets noticed when it’s award time. Last, but not least. In fact - most. 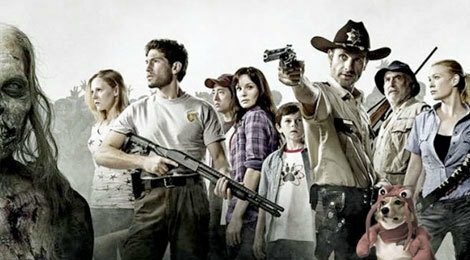 Last but most is - The Walking Dead. To me, this is it. This is the new show I am most looking forward to this upcoming television season. Hell, it’s my favorite new show and it hasn’t even started yet. I just know it’s going to be great because it has everything working for it. First, there’s the source material. I discovered The Walking Dead comic book a couple years ago when I discovered the magic of the comic book section of my local library. They had four large hardcover collections of the series that I quickly devoured. Recently I was happy to find they had the 5th, most recent, collection which I also read - and even recentlier (I know that’s not a word) I bought the last four issues of the book so I am happy to say that I am completely caught up and looking forward to being an ongoing reader from issue #77 forward. Written by Robert Kirkman (who seems like a very cheerful fella, given that the book is so depressing), I had no idea how popular this book was (or if someone just donated a bunch of comics to the library) until I read that a television show was being developed for it. That’s what leads to the second reason I know this show is going to be excellent - the people behind it. Frank Darabont is the man who has developed the show - and AMC is the channel behind it. That just screams quality to me. AMC only seems to do shows that: A, are high quality - and B, are award winning and critically acclaimed. And Frank Darabont knows a thing or two about adapting books (The Shawshank Redemption, The Green Mile, The Mist) for the screen. It will be great to see what he does with material in the long story format - and material that isn’t Steven King’s for once. Just look at the official trailer for the show and you can tell just how good it has the potential to be. The first season is only 6 episodes, and it premieres Halloween night - how perfect is that. So, in conclusion - there aren’t too many new shows that I am looking forward to. A couple I really didn’t have much to say but I did want to mention them, The Event looks promising and I will definitely tune in - and The Walking Dead is every geek’s dream show come true (I am sure DVD sales will be huge). I look forward to revisiting this post in a few months to see how these shows are doing, but until then we can only guess. I want to hear if there are any shows I missed that look good and you recommend. There’s no such thing as too many shows.